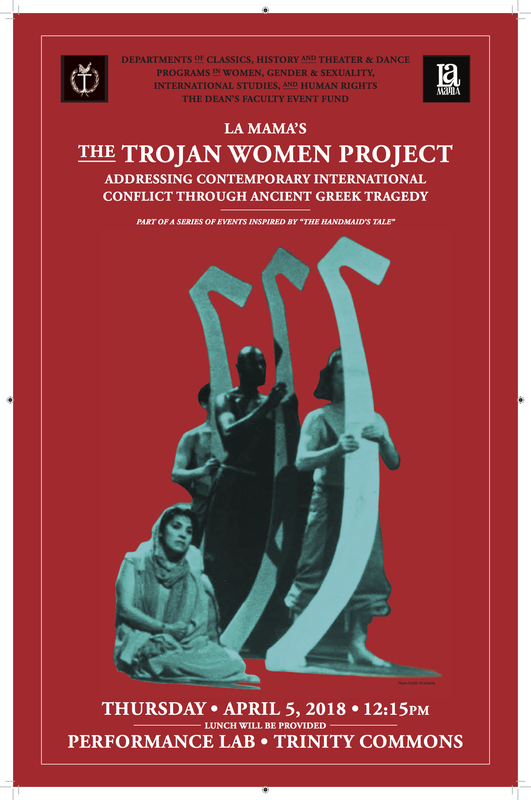 La MaMa Performance Group Talks Their Trojan Women Project! The La MaMa performance group, which is housed in the Great Jones Repertory Theater in New York City, visited the Trinity campus on April 5 2018. 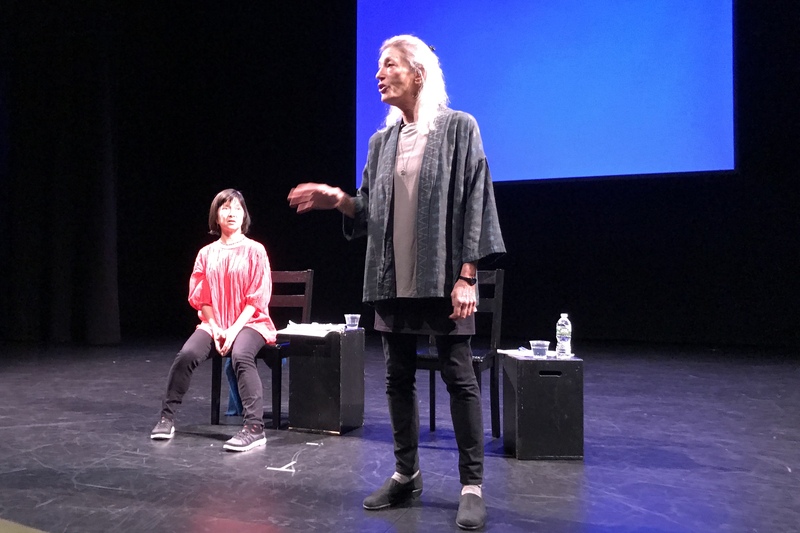 Kim Ima and Onni Johnson (below) spoke to us about their experiences with La MaMa’s “The Trojan Women Project.” The project began in 1974 with a performance of part of Euripides’ fifth-century BC ancient Greek play Trojan Women. The following year, La MaMa began going to places around the globe, like Guatemala and Cambodia, to connect with local performance groups. La MaMa’s goal was to help those groups conceptualize how Trojan Women could be adapted to relate to their own experience of conflict. 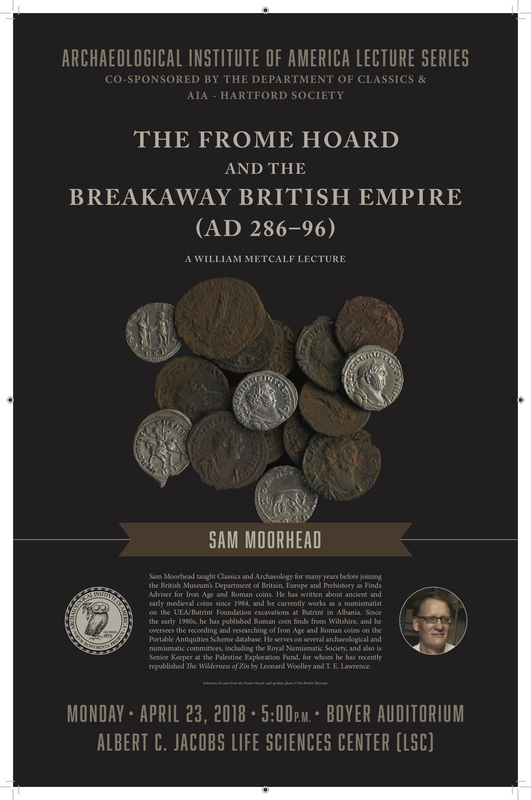 Dr. Sam Moorhead and the Frome Hoard! On Monday April 23 2018, we were fortunate to enjoy a lecture from Dr. Sam Moorhead of the British Museum. Dr. Moorhead came to Trinity’s campus to talk about the discovery and analysis of the Frome Hoard, a cache of ancient Roman coins dating to the late third century AD. The hoard was discovered in 2010 in a farmer’s field in Somerset, England and contained over half a million coins. 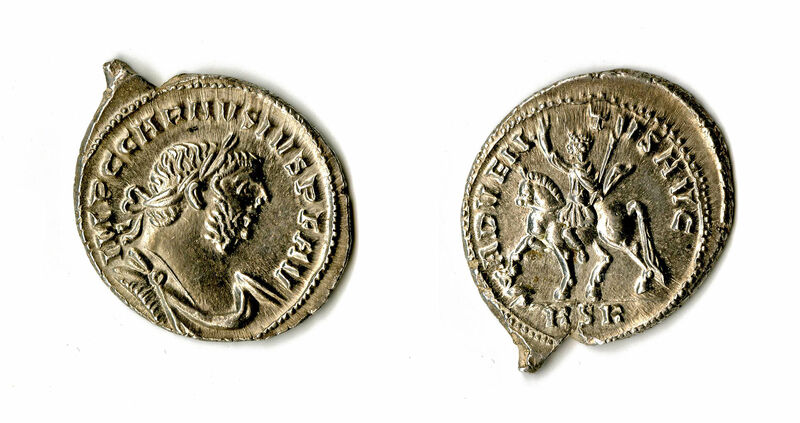 Dr. Moorhead spoke to us about a variety of coins found in the Frome Hoard, and he focused on the reign of the emperor Canusius Adventus, whose silver denarius appears below. Thank you, Dr. Moorhead, for a lovely visit! Trinity Senior Thesis Presentations 2018! On April 24th and 26th 2018 five graduating seniors presented the thesis projects that they undertook for the Classics department. All of them had taken the senior seminar course offered by Prof. Meredith Safran (Classics) and then elected to continue developing their projects over the spring semester. 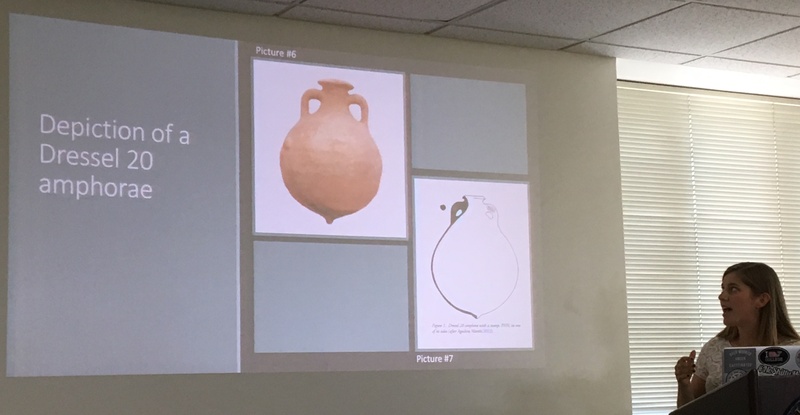 Dylan Ingram, a dual Classics and Mathematics major, presented his project (“Nominative for Accusative Case Interchange in the Numeral tessares in Greek Documentary Papyri, 310 BCE – 350 CE”) which was advised by Prof. Vincent Tomasso (Classics). 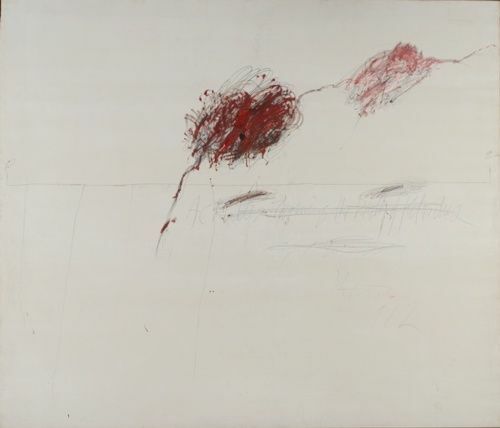 Dylan looked into case syncretism, the linguistic phenomenon of the inflected endings of Greek words becoming the same over time. Dylan looked at papyri from Egypt in the Hellenistic and Roman periods for evidence that the nominative and accusative forms of the numeral 4 started becoming the same. A study of the Roman Empire’s importation of olive was up next by Claudia Garrote. She pointed out that olive oil was an incredibly vital part of the Mediterranean diet: it formed a third of the so-called “Mediterranean triad” of foods, with grain and wine. She then explicatedthe mechanics of the olive oil trade from the Baetic region of Spain. Claudia’s project was advised by Prof. Gary Reger (Classics). 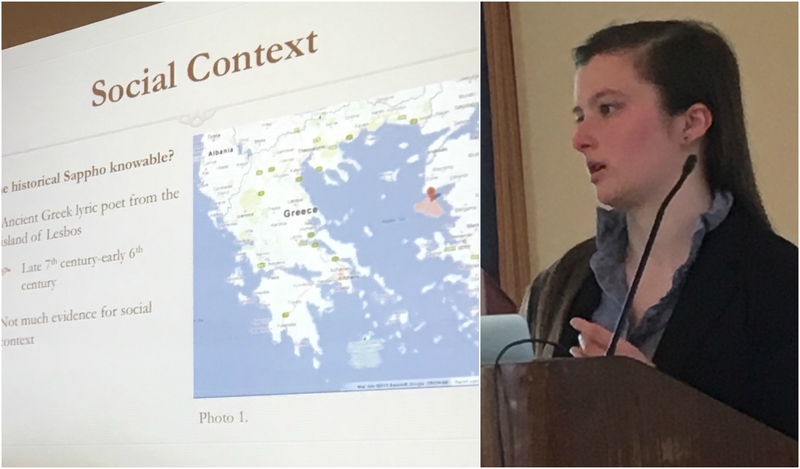 Lydia Herndon, a double major in Classics and Religious Studies, discussed her project on the fourth-century AD Christian writer Ambrose of Milan (“‘A True Philosopher of Christ:’ Ambrose of Milan’s Reworking of Cicero’s De Officiis“). As Lydia described, Ambrose was an interesting individual who existed at the intersections of both his own elite identity (he was appointed as a bishop) and his desire to preach to non-elites. Her advisors were Profs. Lauren Caldwell (Classics & History) and Tamsin Jones (Religious Studies). 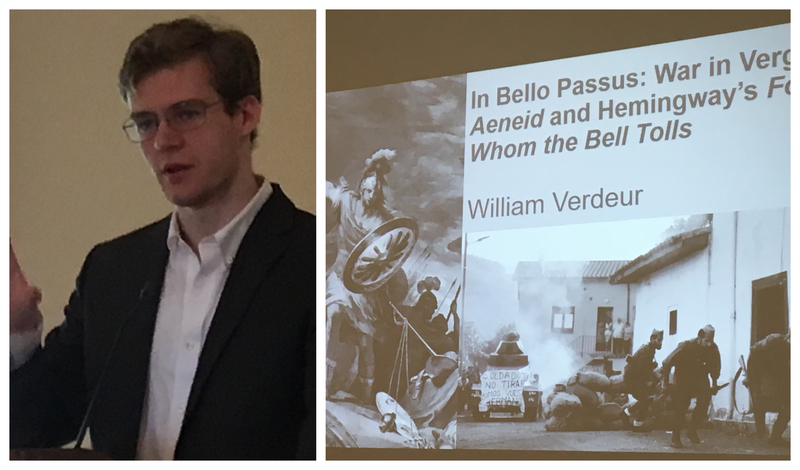 Will Verdeur talked to us about the relationship between the heroes of Vergil’s epic poem the Aeneid and the American writer Ernest Hemingway’s novel For Whom the Bell Tolls. Hemingway claimed the first-century BC/AD Vergil as one of his most important literary predecessors, though the ideology of Hemingway’s Robert Jordan is markedly different from that of Vergil’s Aeneas. Will’s project was directed by Profs. Safran (Classics) and Mrozwoski (English). Caroline Manns‘ thesis continued the theme this year of interdisciplinary reception studies. 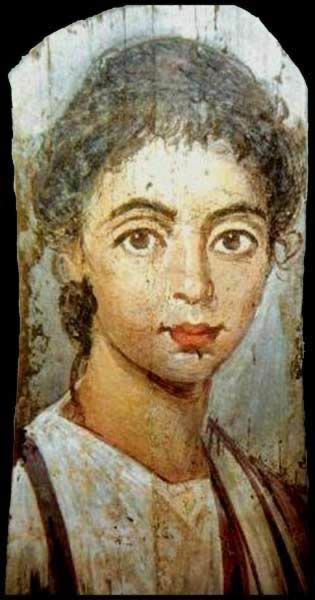 She considered the reception of the sixth-century BC Greek poet Sappho by the early twentieth-century American poets Hilda Doolittle and Audre Lorde. Her thesis was directed Profs. Meredith Safran of Classics and Robert Corber of Women’s and Gender Studies. Congratulations to all five on jobs well-done! 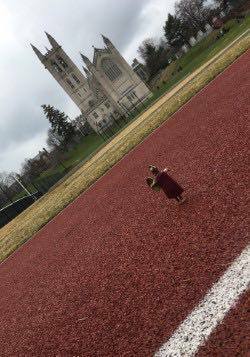 The department will miss you when you graduate in just a few short weeks. 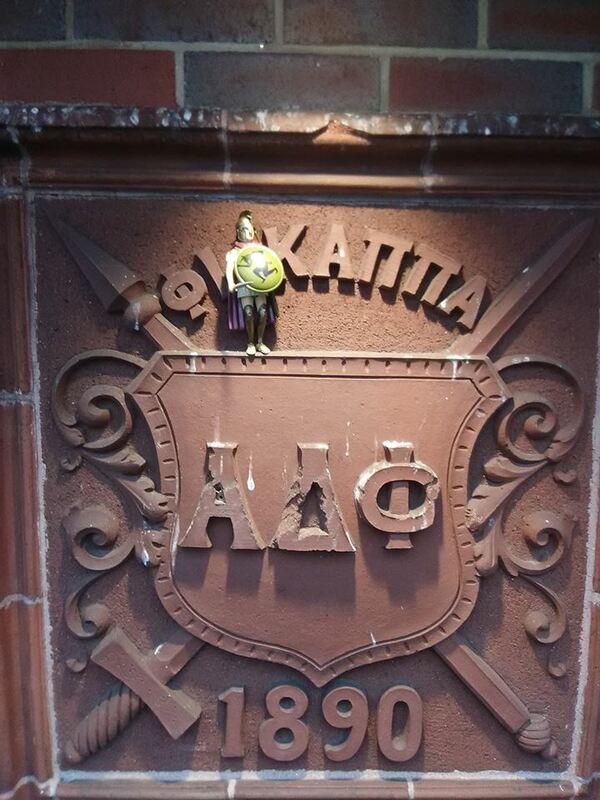 Trinity Classics Hosts MACTe XIX! 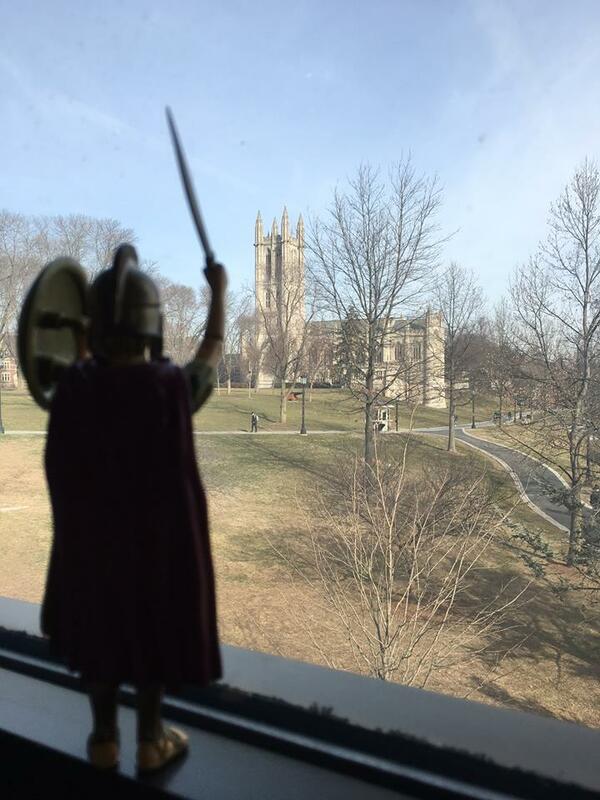 On April 27th 2018 the Trinity department of Classics, spearheaded by Dr. Vince Tomasso, organized the nineteenth semi-annual meeting of MACTe: the Massachusetts And Connecticut and everyone group for junior faculty in Classics. The meetings are held once in the fall and once in the spring of each year, and attract pre-tenure professors of Classics from around northern New England to present their work and receive feedback from their peers. 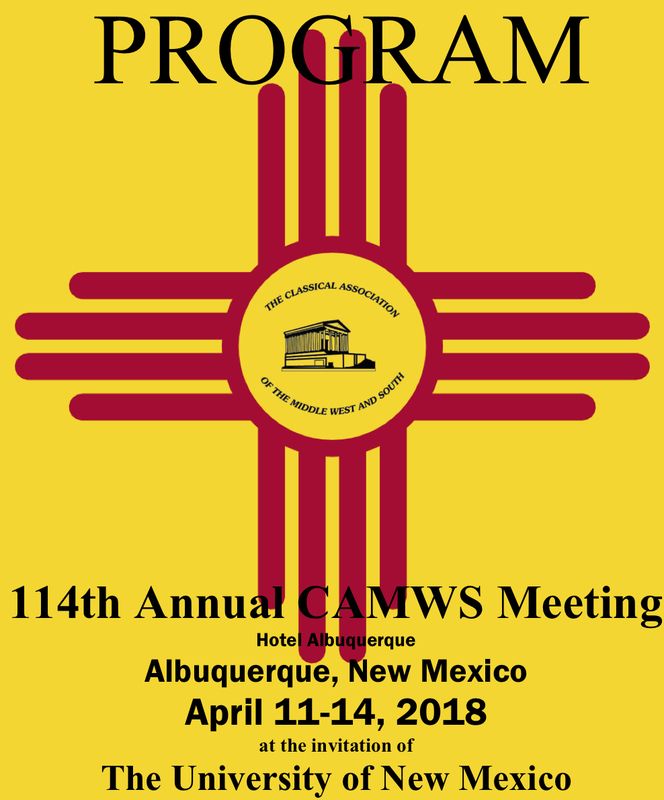 At MACTe XIX, four presenters pre-circulated their papers on subjects as wide-ranging as the use of Latin by Julius Caesar and the use of trees as metaphors for language history by Varro. 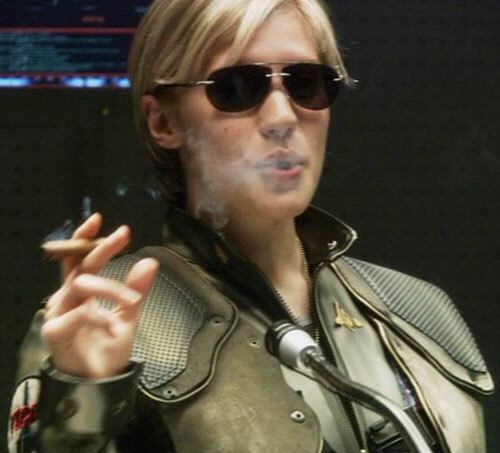 Our own Dr. Meredith Safran presented her work on comparing Aeneas of Virgil’s epic with the character Lieutenant Kara “Starbuck” Thrace in the television series Battlestar Galactica (2003-2009) as a character who goes to the underworld and comes back with special knowledge. 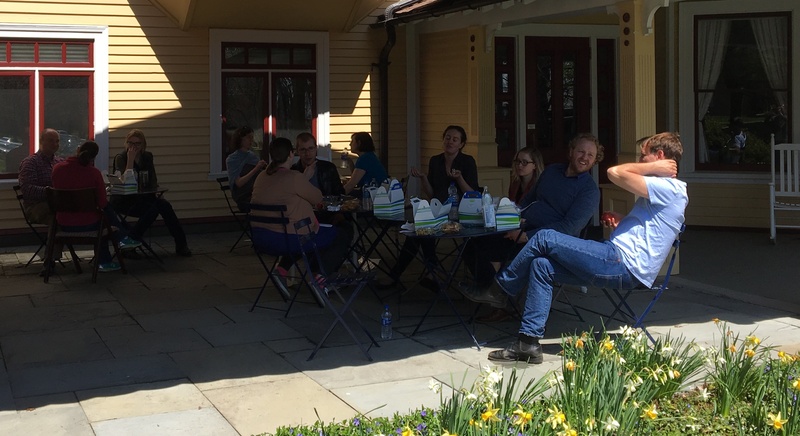 MACTe participants also got to enjoy the first truly sunny and warm day of spring in Hartford. This entry was posted in Uncategorized on May 1, 2018 by vtomasso.